Promoting writing from around the Union and beyond…. EUROPEAN UNION PRIZE FOR LITERATURE – promoting writing from around the Union and beyond…. The EU Prize for Literature, founded in 2009 and financed by the Culture Programme of the European Union, is conceived as a means of promoting the circulation of literature within Europe, going beyond national and linguistic borders and bringing our wealthy and diverse reserves of literature closer to readers all across the Union. By its rotational participation system and the selection of one author from each country, the Culture Programme of the European Union aspires to bring readers from all over the EU closer to works which might otherwise have been confined inside national borders. Thus, artistic and creative output is broadcast all over the European and international community, and the flow of intercultural dialogue finds new channels. Ognjen Spahić, who won the prize this year for his “Puna glava radosti”, was born in 1977 in Podgorica, Montenegro. He claims that he spent the 1990s reading whole libraries, having been denied a passport because he refuse to serve with the Yugoslavian Army. Previous works of his include: two collections of short stories: Sve to (All That, 2001) and Zimska potraga (Winter Search, 2007). His novel, Hansen’s Children won him the 2005 Meša Selimović Prize for the best new novel from Croatia, Serbia, Montenegro and Bosnia-Herzegovina and the 2011 Ovid Festival Prize. 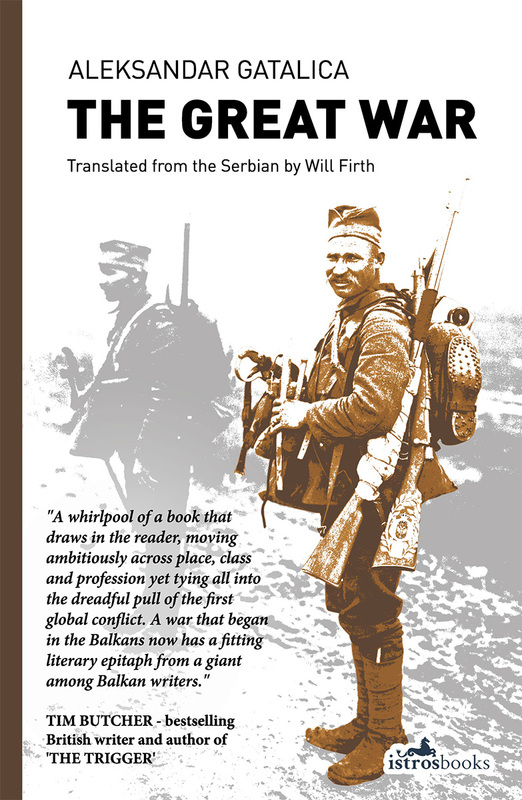 Spahic’s works have been translated to Slovenian, Romanian, Hungarian, Macedonian, Czech, Greek, Turkish, Romanian, Bulgarian, English, Albanian and German. His short story “Raymond is No Longer with Us—Carver is Dead” was included in the anthology Best European Fiction 2011 published by Dalkey Archive Press in the USA. Spahić lives in Podgorica. Çiler İlhan, from Turkey, was awarded the 2011 EU Prize for Literature for collection of stories Sürgün (Exile), which will be in bookstores by April ‘15. An active writer since her youth, she has collected the Yaşar Nabi award in 1993 for one of her short stories. She regularly publishes stories, essays, book reviews, travel pieces and translations in Turkish newspapers and magazines. 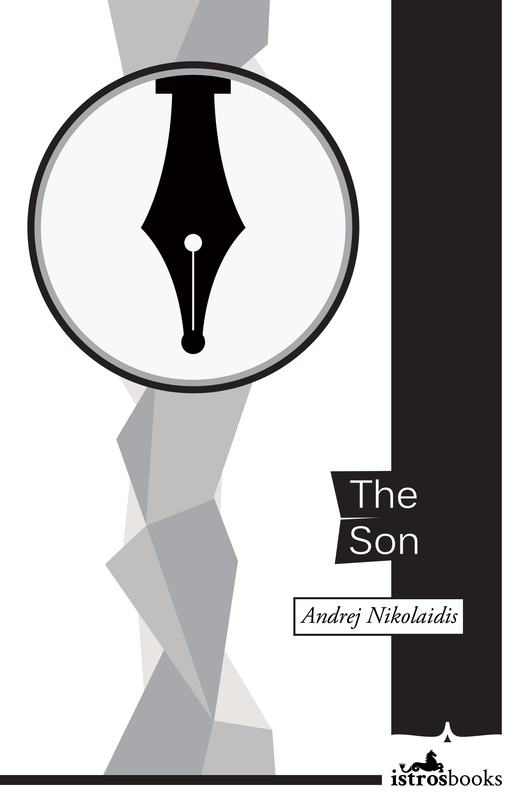 Andrej Nikolaidis, who was awarded the 2011 EU Prize for Literature for The Son, was born in 1974 to a Greek-Montenegrin family, in Sarajevo. A controversial, politically outspoken figure in his country, Nikolaidis has written for regional independent and liberal media, as well as for cultural magazines. He is widely considered one of the leading intellectuals of the younger generation, and is known for his anti-war activism and for his defense of freedom of speech and the rights of minorities. Jelena Lengold is a Serbian poet, novelist and journalist. She won the 2011 EU Prize for Literature for her short story collection Fairground Magician. Aside from that she has published five books of poetry, four volumes of short stories, and one novel. She he worked as a project coordinator in the Conflict Management programme of Nansenskolen Humanistic Academy in Lillehammer, Norway, where she touched on themes such as interethnic tolerance, discrimination, negotiations, human rights and peaceful conflict resolution. She lives in Belgrade. 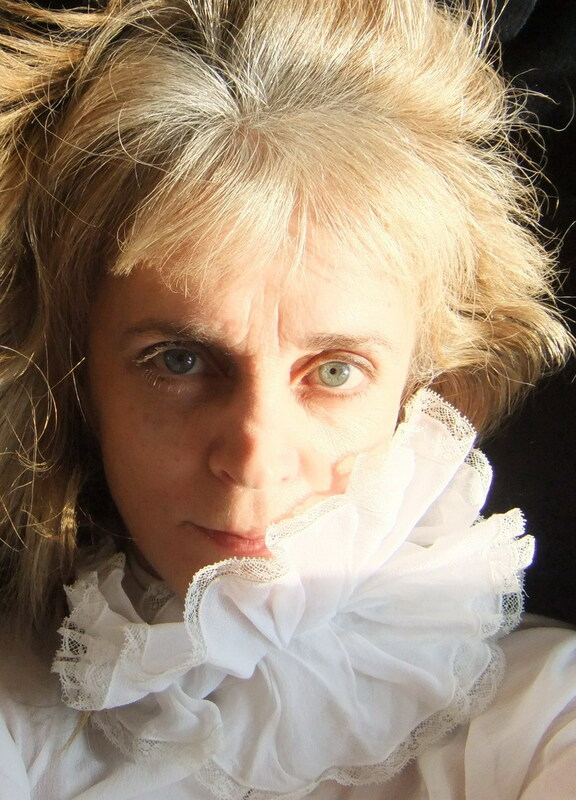 Gabriela Babnik is a Slovenian writer and translator. Her travels to Africa, especially Burkina Faso, have inspired much of her work. She has an MBA in Contemporary Nigerian Novel and has translated Half of a Yellow Sun, a novel by Chimamanda Ngozi Adichie’s to Slovene. Her third novel, Dry Season, for which she was awarded the EU Prize for Literature, will be published by Istros Books in October 2015. Firstly, back to the festival. As I mentioned before, PRO-ZA Balkan is a fledgling festival which launched last year by hosting a number of writers who also happen to be published through Istros (just to prove to you that we really have the pick of the crop) – Alek Popov from Bulgaria, Andrej Nikolaidis from Montenegro, and Vladislav Bajac from Serbia. 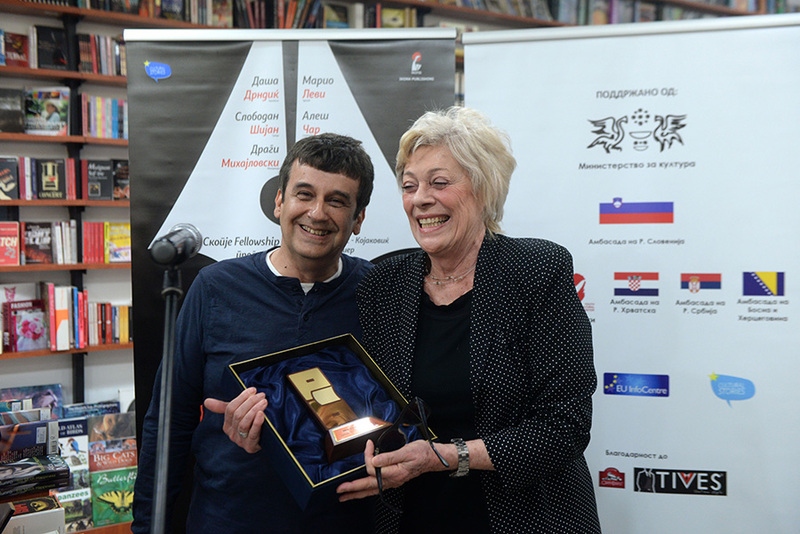 Bajac was also the recipient of the festival award – ‘Prozart’ Award – given to a prominent author from the Balkans for outstanding contribution to the development of the Balkan Literature (and shall be giving one of the Key note speeches at Balkan Day). What’s more, PRO-ZA Balkan has now introduced a Fellowship programme that hosts the most prominent European publishers, literary agents and scouts, and directors of renowned literary festivals. This year, about from yours truly, the fellows included UK Literary Scout, Anne Louise Fisher and Lucien Leitess, founder of the Swiss publisher, Unionsverlag. Also joining us for a week of literary discussions and tasty, literary meals, were the Turkish writer, Mario Levi, the Slovenian writer Aleš Čar, Bosnian Writer Nenad Veličković, legendary Yugoslav film-maker and author, Slododan Šijan, and Macedonian author and translator of Shakespeare, Dragi Mihajlovski (whose short-story ‘Pop Goes the Weasal’ appears in the latest edition of Wasafiri Magazine). And the winner of the ‘Prozart’ Award this year was Daša Drndić, whose impressive and moving novel on the Holocaust –Trieste – was published to great acclaim in the UK with Maclehose Press last year. Apart from the usual human dramas of minor toes infections, headaches, missing participants and hay fever attacks, all involved were shown the very best of Macedonian hospitality, and introduced to a vibrant literary and cultural scene, which exists despite the terrible economic pressures on this beleaguered Balkan country. 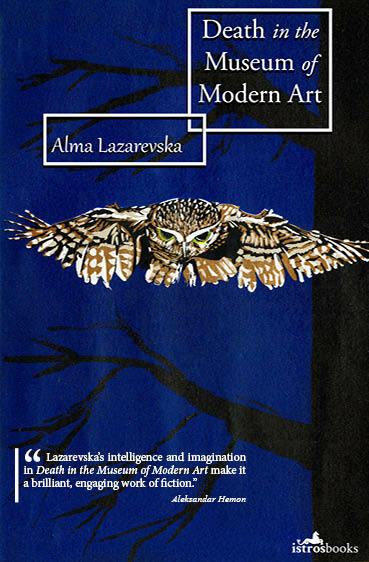 And then there’s another thing…..this month will see the publication of ‘Death in the Museum of Modern Art‘, a collection of six stories by the Macedonian-born writer, Alma Lazarevska. Described by fellow (ex)citizen of Sarajevo and writer, Aleksandar Hemon as ‘…a brilliant, engaging work of fiction’, much is expected from this literary debut on the UK market. Its first review – by Marina Sofia in Necessary Fiction, was a rave one, which praised the ”poetic silence between sentences” in this, subtle, tender collection. In response to the small-minded, xenophobic scare-mongering of some politicians and quite a few journalists – all of whom should know better – I am starting a Twitter campaign called #TheRomaniansAreComing. I’d like everyone who does know better to join in and start spreading the word about the contributions people of all nations – from the East as well as the West – make to our joint cultural heritage; from literature, art, drama, music, poetry to cuisine and science. After a week in which the UK was branded the ‘nasty country’, it’s time to start reminding people on this island that nations are more than a sum of their population; they are the ideas and creativity that they produce and offer out into the wider world for the enrichment of our common humanity. Romania, Bulgaria, Croatia…these are all new/newish members of the EU but they do not come into the club as beggars with nothing more to show than an open hand (for begging of course) and a foreign tongue. These countries all have histories and cultural traditions, have spent time and money educating their population through primary education, music education, sports education, and specialised training schemes. As a consequence, they offer a whole range of skills, experience and knowledge. Yesterday I spoke about this phenomena to George Stanica, a Romanian writer and translator who has been living in London for more than twenty years and supplements his income working as an interpreter in the law courts and police stations. When I asked him if he expected as huge influx of Romanians after the restrictions have been lifted at the end of the year, he gave a completely different perspective. Rather than an influx of manual labourers, he thought it far more likely that Britain would attract graduates and skilled workers like doctors and nurses, whose wages are pitiably low in their home country and are likely to be attracted by better conditions. 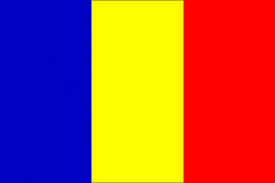 This is of course, can only be of benefit to us, while is a sad loss for the people of Romania – those very same people who we are accusing of wanting to drain us of our resources. Over the next few weeks – as we lead up to the 31Dec deadline on the end to the ban on certain people from the Eastern EU – I will be highlighting the Romanians who have contributed to European culture over the decades. In this way, I hope to counterbalance the negative stereotypes that the press think normal people want to hear about. Please join in with your own positive examples. Myself, I prefer to see the world through exceptions rather than stereotypes: it’s a much brighter place, full of interesting individuals….